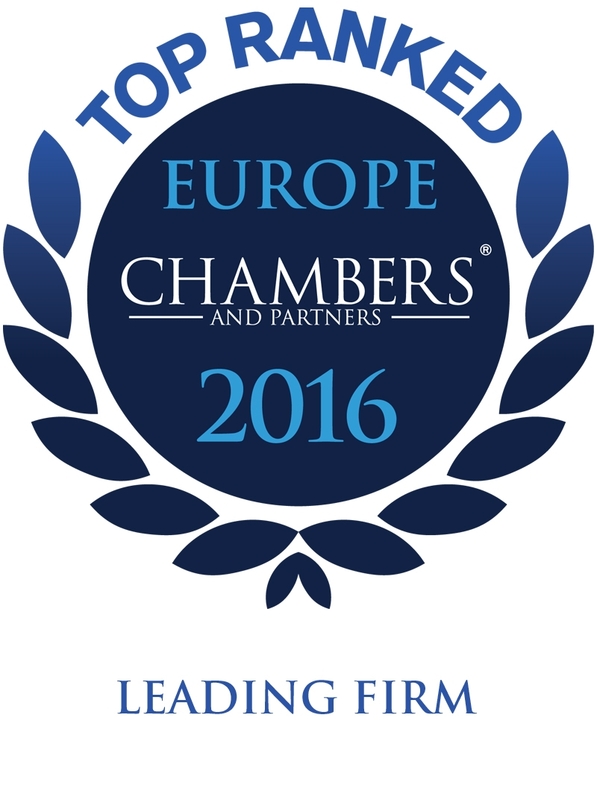 According to the results of a reputable international survey Chambers Europe 2016, Ilyashev & Partners is recognized as a leading law firm in Dispute resolution (Litigation: Ukraine). The firm came third in the practices: dispute resolution (arbitration), employment, energy and natural resources, intellectual property, tax, restructuring/insolvency. What the team is known for: Exceptionally strong in domestic litigation, advising on a wide range of cases, including shareholder, IP, real estate and labour disputes. Particularly known for bankruptcy-related litigation, often handling large debt recovery cases. 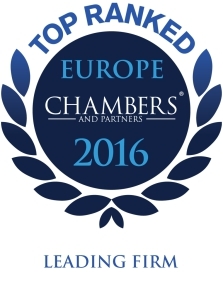 Active in cross-border litigation as well as international arbitration. “The firm has an outstandingly dedicated and very knowledgeable team, which impresses in terms of its professionalism, efficiency and practice behaviour”. “Ilyashev & Partners does a fantastic job developing and executing successful strategies. The lawyers are always thinking two steps ahead”. Roman Marchenko is the firm’s key hands-on litigator. Sources say: “He is a highly strategic manager with an encyclopaedic technical knowledge of insolvency law”. A client adds: “He is very responsive and makes himself available whenever necessary’’. Managing partner Mikhail Ilyashev is a versatile lawyer who advises on strategic issues. “He is talented and efficient”, sources say. What the team is known for: Noted for its expertise in employment litigation. Also handles the drafting and negotiation of contracts, in addition to employment matters relating to mergers and transferral of undertakings. Active on behalf of commercial clients as well as government bodies. Notable practitioners: Mikhail Ilyashev is a key contact for clients. What the team is known for: Represents energy companies in a range of litigious mandates, including competition law disputes. Advises on acquisitions of power plants, loan restructuring and gas trading. Also handles construction law matters in the field of alternative energy sources. “I find the firm to be extremely responsive and professional”. “The lawyers find innovative solutions and solve complex problems”. Notable practitioners: Mikhail Ilyashev is the key point at the firm. What the team is known for: Compact team offering a wide spectrum of contentious and non-contentious services to clients in the pharmaceutical and manufacturing industries. Advises on patent and trade mark filings, unfair competition and licensing. “I am amazed with the level of service”. Notable practitioners: Patent and trade mark lawyer Irina Kirichenko has experience representing clients from the pharmaceutical industry in all types of IP cases. What the team is known for: Advises on corporate tax matters. Also works together with the disputes team representing several large local companies from a variety of sectors, including transport and finance. Notable practitioners: Maksym Kopeychykov divides his time between tax and real estate matters. He assisted SE Antonov with a challenge of a USD 5 million fine levied by a tax inspection and a settlement of USD 3 million of tax arrears. What the team is known for: Acts on large debt recovery cases and on corporate restructuring matters. Also advises clients on insolvency proceedings, supported by its strong dispute resolution practice. Often works for financial institutions, representing creditors. “The team impresses in terms of their efficiency, proactive behaviour and responsive services”. Notable practitioners: Department head Roman Marchenko is described by clients as “a top-class litigator who is a real asset in challenging cases”. He advises on insolvency procedures, usually acting for creditors, and recently advised on court proceedings relating to the bankruptcy of various transportation firms.